Spoff is an independent ready-to-wear fashion brand that emerged from the passion and imagination of Laura Bonciu and Patricia Adăscăliței, a young designer duo based in Bucharest, Romania. A wonderland for the urban chic, this fashion brand seeks to become a stream of self-expression for young people who stand out in a crowd. Spoff is for all those who have the courage to step outside the conventional and own their personalities in spontaneous, effortless style. 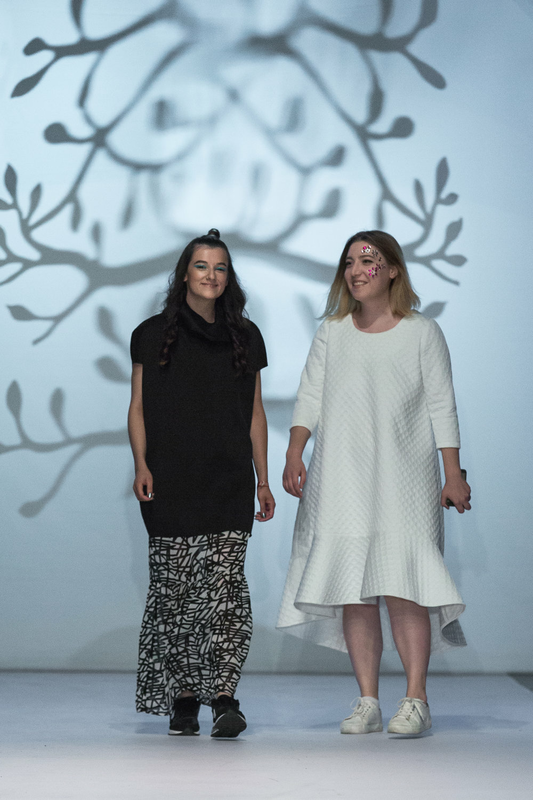 Laura Bonciu and Patricia Adăscăliței both graduated from the National University of Arts in Bucharest, Romania, but only met in 2015, while being involved in a commercial design project for Romanian Design Week. They connected over a shared passion for aesthetics and subversive use of materials and went on to create two collections together under a different project before presenting their first capsule appearance as Spoff at Feeric Fashion Week in Romania earlier this year. Spoff shows its Soft Power S/S 2017 collection for the first time at New York Fashion Week in September 2016.